Wednesday January 2 will be the first Omaha tournament for the New Year. 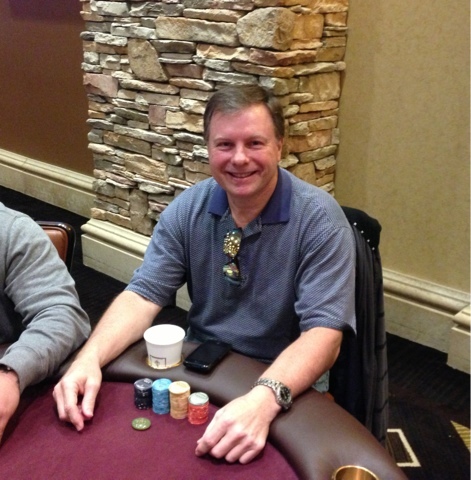 Buy-in is $75 with 5,000 in chips to start. Tournament begins at 7:00PM. Holiday Greetings and Best Wishes for a Happy New Year! Don't forget players, January 5th will be the first Saturday of the month and with that comes a $30,000 guaranteed tournament. 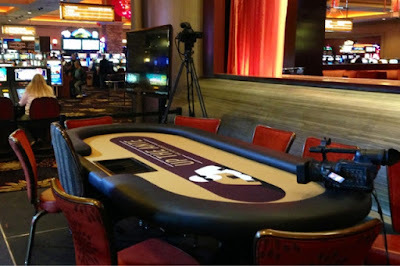 The Buy-in is $300 with 10,000 starting chips and begins at 11:00AM. A Mega Satellite will be held Friday January 4th at 5:00PM with a $60 Buy-in and 4,000 starting chips with 15 minute blinds. Ante Up thanks Thunder Valley! On behalf of everyone at Ante Up Magazine, we want to send a heartfelt thank-you to Ben Erwin, John Rochfort and all the floor staff and dealers at Thunder Valley Casino Resort for making the inaugural Ante Up Poker Tour event such a smashing success! I enjoyed my time playing during the event and talking to players, and we're very much looking forward to returning next November for the next Ante Up NorCal Classic! We'd also like to encourage all of Thunder Valley's players to tour with us in 2013. The next AUPT stop is a short flight away in Las Vegas on Jan. 25 at Red Rock Casino Resort Spa, with satellites beginning Jan. 21. For more information on this event, please visit Ante Up's Red Rock Casino Resort Spa's webpage. Our Ante Up Poker Tour World Championship event will begin in late July at the luxurious, all-inclusive Hard Rock Punta Cana in the Dominican Republic, with deeply discounted hotel rates for Ante Up guests that include all meals, alcohol and activities. 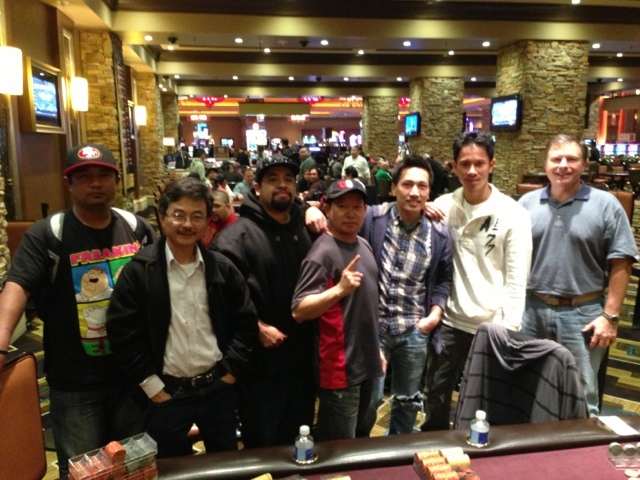 For more information on this event, please visit Ante Up's Ante Up Poker Tour World Championship webpage. And we'll host up to 10 more events in 2013. Find out the other scheduled tour dates, and keep abreast of new dates, by visiting AnteUpPokerTour.Com. 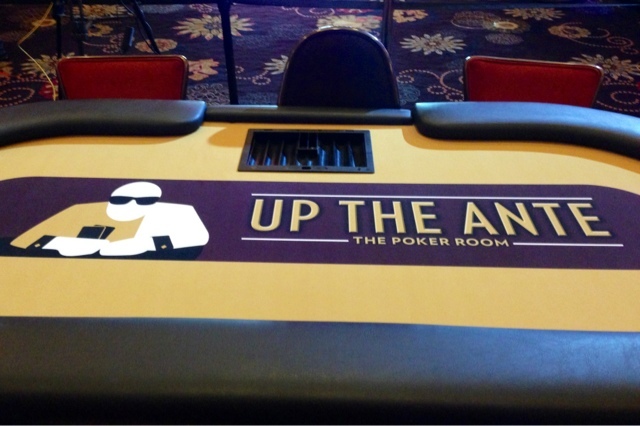 Ante Up has updated its Player of the Year points database with Events #7-8 and the main event of the Ante Up NorCal Classic. 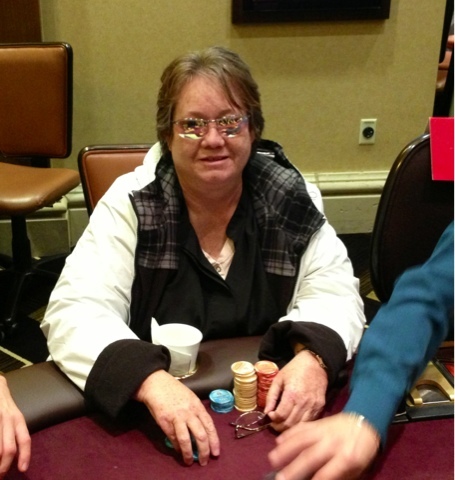 With just a few events left this year, Candida Ross-Powers, winner of the Thunder Valley Players Championship in August, is 37th with 804 points, and Huan Cung, winner of the Ante Up NorCal Classic, is 44th with 747 points. The new season begins Jan. 1. 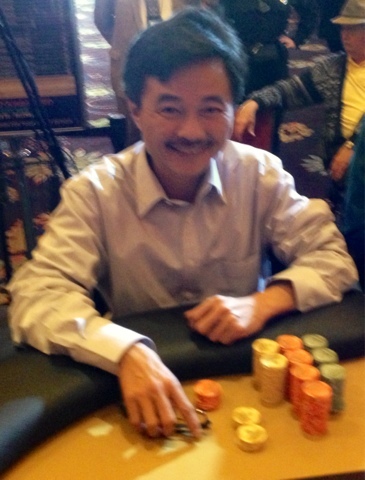 Huan Cung of Sacramento Ca. 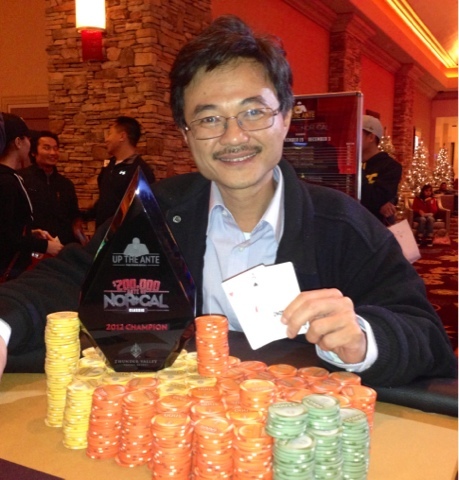 won the Ante Up Norcal Classic, earning $73,000. 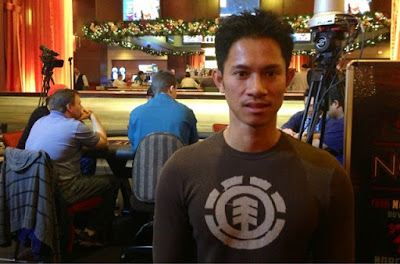 Toan Nguyen of Elk Grove Ca. finished 2nd, earning $68,585. Dragem Vang of Rocklin Ca. 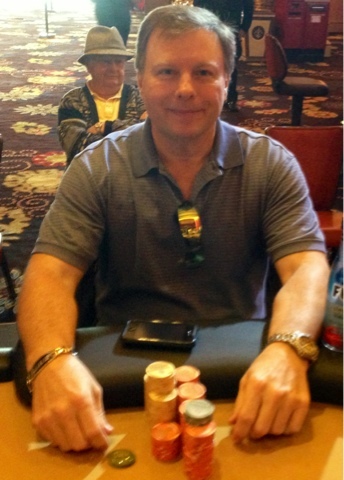 finished 3rd, earning $33,685. Walt Strakowski of W. Palm Beach Fl. 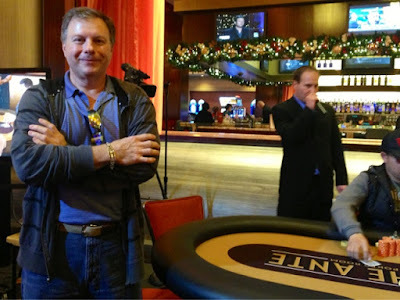 finished 4th, earning $26,500. Bas Pansuntorn of American Canyon Ca. 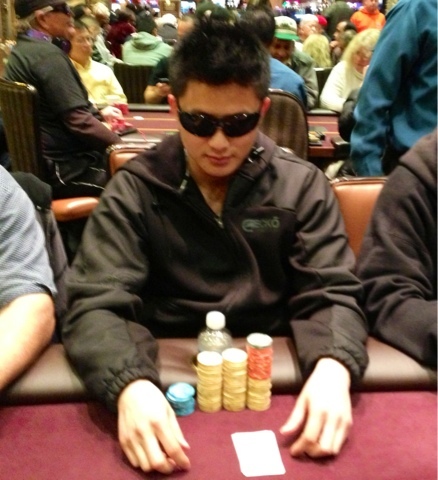 finished 5th, earning $20,520. 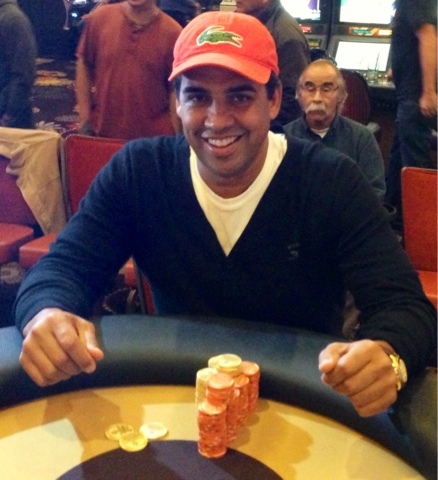 Paul Dias of Sacramento Ca. finished 6th, earning $17,100. 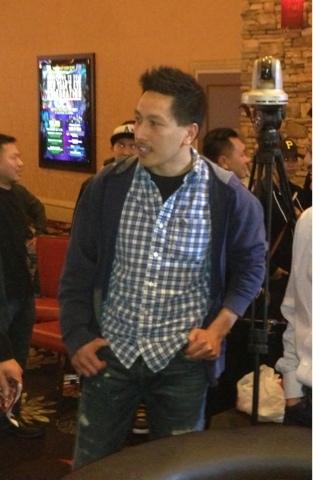 Tay Nguyen of Elk Grove Ca. 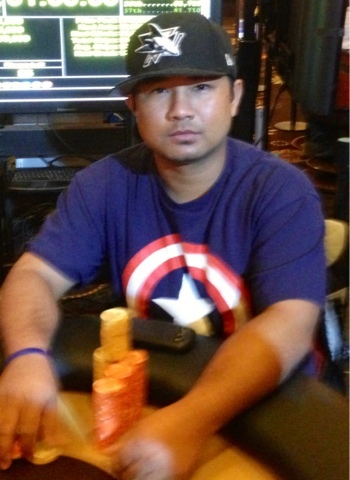 finished 7th, earning $13,680. Johnny Mora of Orangevale Ca. finished 8th, earning $10,260. The stage has been set! We are less than two hours away to determine who will be the inaugural Ante Up Norcal Classic champion! 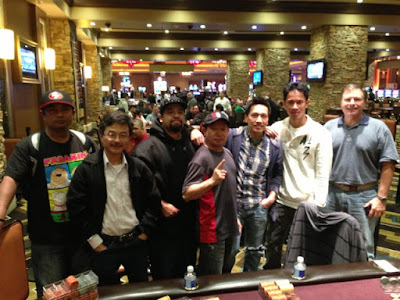 Congratulations to the 8 finalist of the Ante Up NorCal Classic. The final table will be played tomorrow, Monday Dec. 3rd at 1pm. 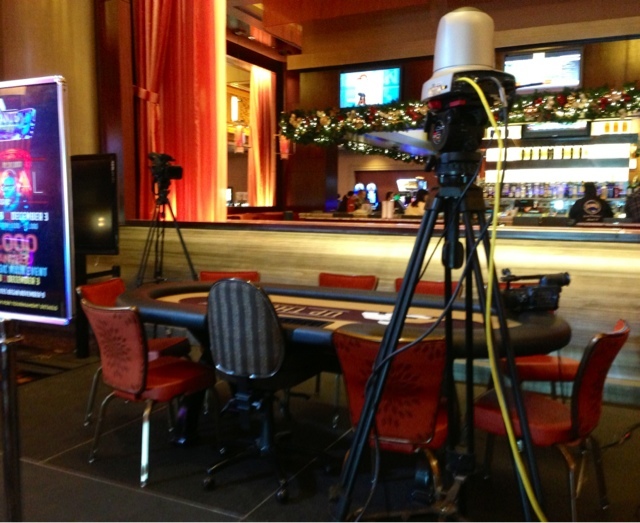 Watch all the action right here on our blog where will be live streaming the final table. 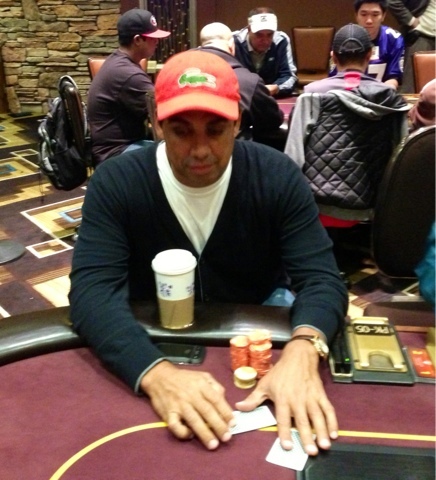 At the start of level 17 we are down to the final two tables, average chip stack is 256,500. 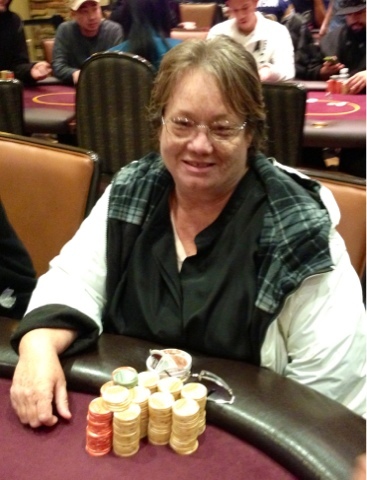 Candida is the current chip leader with 564,000 chips. 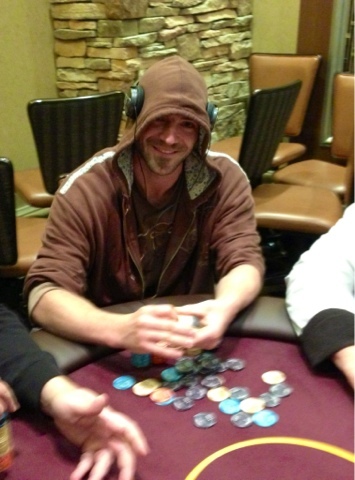 Johnny is currently second with 411,000 in chips. Manh is third with 329,000 in chips. 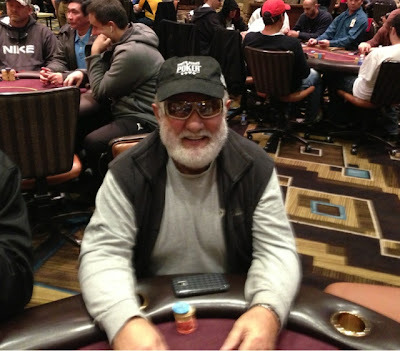 Paul is fourth in chips with 323,000 in chips. Just thirty minutes remain until the dinner break and we are down to the final 30. Bao Liu of Davis Ca. contemplates his next move. 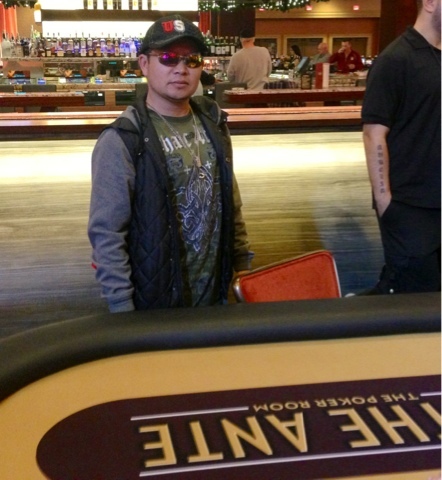 Bao will represent Thunder Valley at the Five Diamond World Poker Classic in Las Vegas later this week. 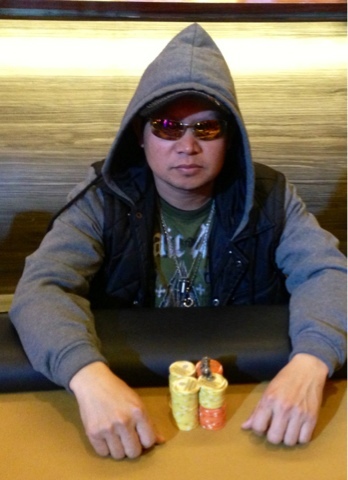 As soon as Bao finishes the Ante Up Norcal Classic, he will be on a plane to Las Vegas for the $10,300 buy-in event which begins Tuesday. 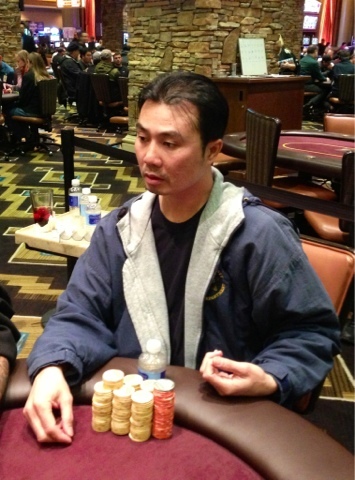 Bao currently has over 240,000 in chips, which is twice the average chip stack. Candida from Sacramento Ca. is the reigning Thunder Valley Player's Champion. Candida finished 5th in event #51 and 40th in event #2 in this years WSOP. She has also won a bracelet in a regional WPT event in September. Candida currently has 126,300. 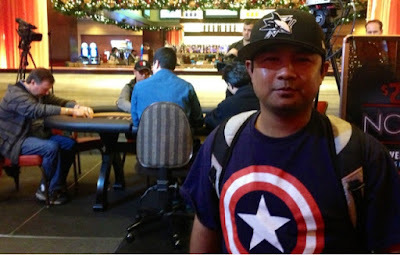 Brian Barnes of Durango Co. made a twenty hour drive to attend the Ante Up Norcal Classic. Brian currently has 142,000 chips. With 20 minutes left in level 12, 63 players remain with the average chip stack at 81,248. Tony Recchia from Orangevale Ca. a fixture around the Sacramento poker scene for the last 50 years. Tony is a local restaurant owner who makes the best meatball sandwich in town. 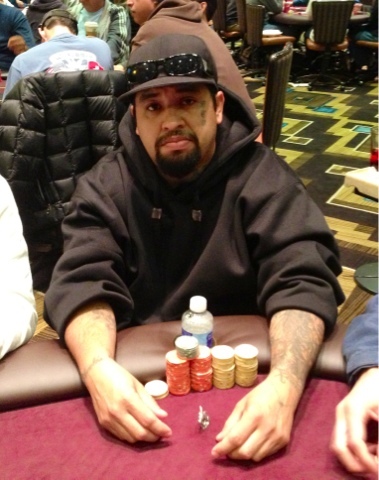 Tony currently sits with 62,000 chips. Walt Strakowski travelled from W Palm Beach Fl. 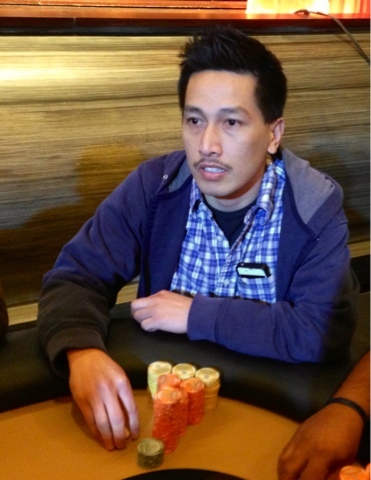 to play in the Ante Up Norcal Classic. 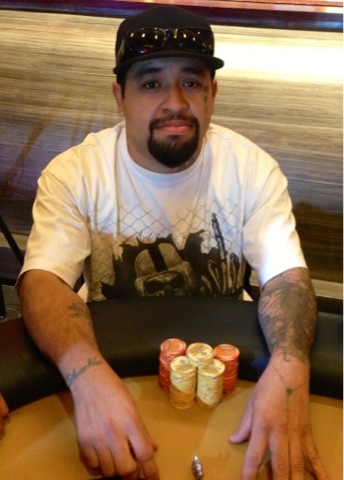 Walt has the distinction of being the only Ante Up Poker Tour bracelet winner, which he won in 2010. Currently Walt sits with 105,000 chips. With just over an hour into Day 2, 12 players have been eliminated. 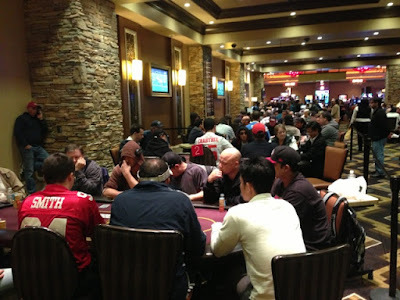 74 players remain with the average chip stack at 69,324. 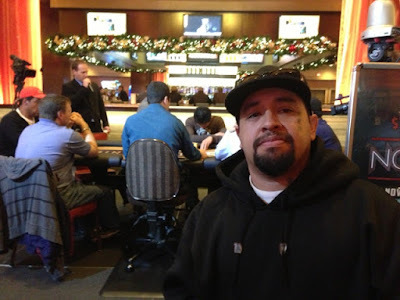 Day 1 A and B in the Ante Up NorCal Classic has been completed. Day 2 will begin on Sunday at 11am with 86 players advancing. The top 10 players on Sunday will be coming back for the final table Monday Dec. 3rd for a chance to win a 1st place prize of over $88,000. The Field for the inaugural Ante Up Norcal Classic is set! 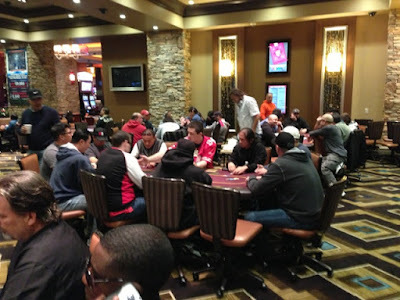 Day 1A drew a total of 122 players, while Day 1B added another 220. 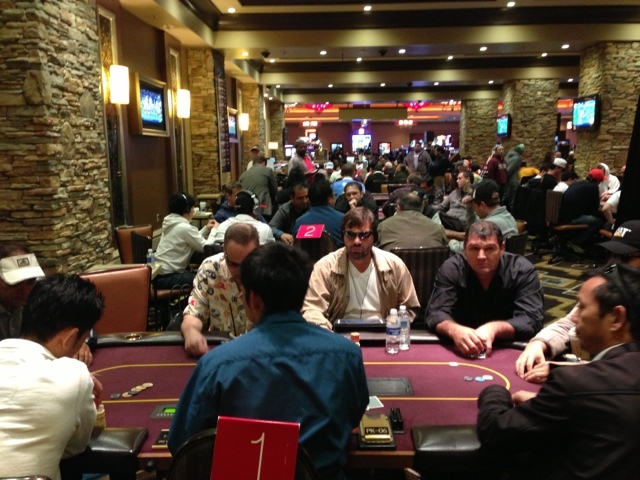 The two day total of 342 players puts the prize pool at $342,000. Forty five minutes through level 1 we currently have 169 players registered for DAY 1B. Registration is open through level 4. After 12 hours and 10 levels, 29 players moved on to day 2.